This microwave recipe was submitted to the site back in 2010. It's a couple years later (June 2013) and I finally got around to trying it. I liked it. It's easy to make and tastes vaguely like banana bread. It does make a rather thick oatmeal. Personally, I like it that way. 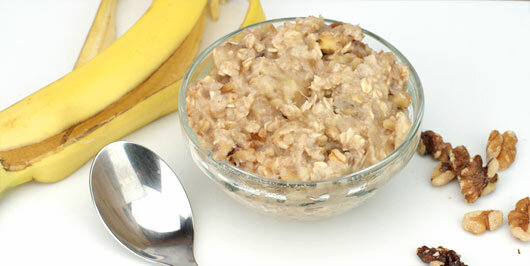 But if you're looking for a consistency closer to what you get with packet oatmeal, I'd increase the milk to 1/2 cup. Thanks to 'tumbleweed' for sending us this one. 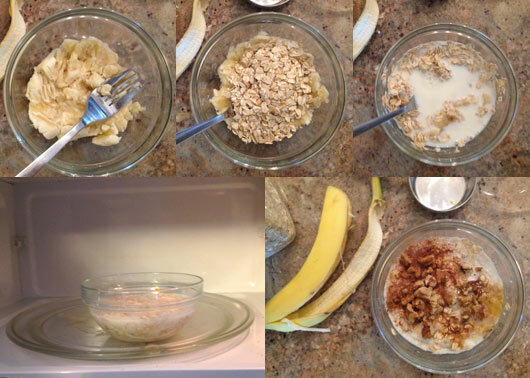 Mash the banana in a bowl. Mix in the oats. Add the milk and microwave for 45 seconds. Stir in the nuts, wheat germ, vanilla, cinnamon and honey. Microwave for another 45 seconds or until oats are cooked and soak up all the liquid. Give it a good stir and a dash of salt. It will be hot. Let it cool a minute before eating. 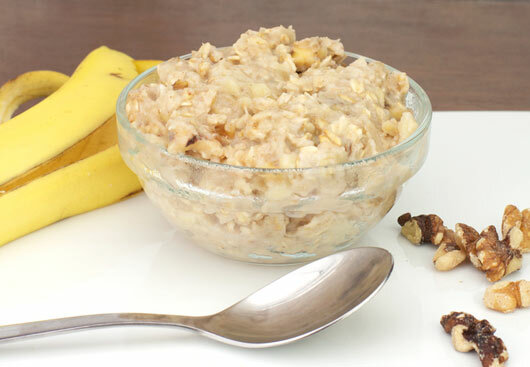 Wake up with this super easy microwave oatmeal featuring bananas, walnuts and wheat germ for added nutrition. Mr Breakfast would like to thank TUMBLEWEED for this recipe. Recipe number 2825. Submitted 4/30/2010.